Monymusk celebrated the commencement of the development phase of their project to refurbish the village hall on Friday 24 February with a visit from Allan Rae of Kirkwood Homes. Kirkwood Homes have donated £31,000 to the committee in order to complete the fundraising for the project. 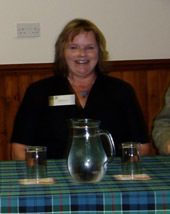 Rural Aberdeenshire LEADER had made an award of £97,511 towards the £220,000 project in December 2010. Work will begin shortly and will involve enhancement of facilities, access improvements and increased storage. The works are expected to be complete by the autumn. Saturday 12th November saw Insch Instiute Bowling Club celebrate the official opening of its new community sports hall and clubhouse. 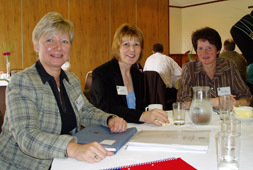 In 2009 the project was awarded LEADER funding of £67,200 towards a total cost of £181,570. It involved the construction of an indoor sports hall connected to the Insch Institute building and overlooking the bowling green. The hall was officially opened by Dennis Robertson, Aberdeenshire West MSP, who unveiled a plaque celebrating the occasion. A large turnout of the local community were present at the event, which also featured refreshments and a Christmas fair with a variety of stalls selling gifts, cakes and plants. Dennis Helliwell of Insch Institute Bowling Club said "The Insch Institute Sports Hall is a good example of what a small community based club can achieve, given some informed leadership coupled with lots of energy, enthusiasm & community support. "However none of the latter is able to deliver without access to funding and Aberdeenshire LEADER has been pivotal is allowing our development to proceed." Insch Institute Sports Hall is open for year round community and sporting use. It has kitchen and toilet facilities and is located at the rear of the Institute Building on Rannes Street, Insch. Michael Biddlecombe, Secretary of Insch Institute Bowling Club, added: "LEADER's contribution breathed life into the Sports Hall project enabling the efforts of a dedicated number to benefit the sporting populace of Insch and its surrounding area for years to come"
The Scottish LEADER Programme 2007-2013 promotional brochure has recently been launched. The publication, supported by Scottish Government, is the result of a collaborative initiative between the 20 Local Action Groups (LAGs) in Scotland. It aims to celebrate and promote LEADER and features case studies from accross Scotland. To access the guide online, please visit the document library or click here. Millbank Hall Community Association celebrated the re-opening of Millbank Hall, Sauchen on September 17th with the help of Richard Lochhead MSP and other dignitaries. The hall had been closed since April as part of a revitalisation programme which has included the upgrading of toilet areas, a new kitchen facility, insulation improvements and complete redecoration. Over a hundred members of the local community attended the event and enjoyed an afternoon tea along with special guests Richard Lochhead (Cabinet Secretary for Rural Affairs), Sir Robert Smith MP, Councillor Gurudeo Saluja and Douglas Milne (Garioch Area Manager, Aberdeenshire Council). The event was hosted by the parish minister Rev Euan Glen and was also addressed by Sylvia Henry, secretary of the association. 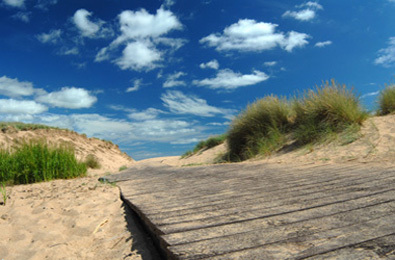 The project was awarded £35,000 from Aberdeenshire LEADER in December 2010. Millbank Hall currently has afternoon and evening slots available for new user groups. Please contact Sylvia Henry on 01330 833216 for further details. A new LEADER project which works with secondary school children in three Aberdeenshire schools to provide extra-curricular skills has commenced. 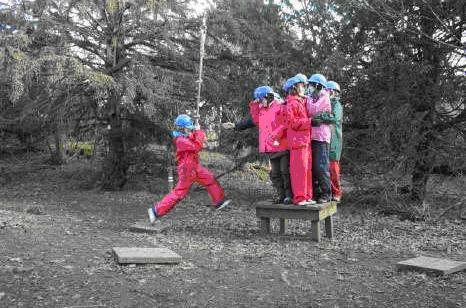 SkillForce Scotland was awarded £69,900 by the Rural Aberdeenshire LAG in March 2011 towards a 2 year programme which will benefit 150 youngsters in Banff, Huntly and Turriff. "Due to the successful LEADER grant SkillForce will be working in partnership with Banff Academy, Turriff Academy and The Gordon School delivering a curriculum and activities that provide young people with knowledge, skills, experience and long term personal support and most importantly, the self belief to aspire and achieve. "Our vision is that every young person, whatever their background or ability is given the chance to fulfill their true potential and become a valued member of the community." 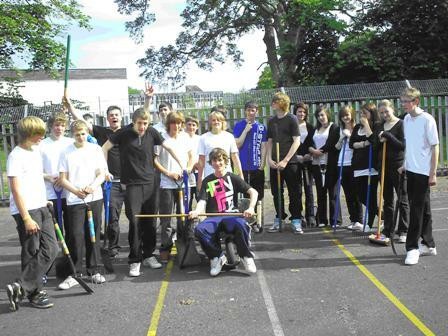 SkillForce is an educational charity working in partnership with 150 schools across England and Scotland helping to change the lives of over 10,000 young people a year by building their self-belief and achieving their full potential. The charity's mission is to make a profound difference to the lives of young people - reducing exclusions, increasing academic performance and boosting confidence amongst the pupils they works with. The programme will run in the 2011-12 and 2012-13 academic years and involve youngsters in 3rd and 4th year (14-16 years old). An Instructor and Assistant Instructor have been recruited to deliver the programme. Click here for information and contact details on SkillForce Scotland. A new LEADER project celebrated its official launch on Wednesday 24th August. 'A Mearns Heritage 1980-2013' will explore the heritage and culture of the Mearns area whilst catering for the needs of people with learning disabilities. The event was attended by a cross section of prominent members of the community including Provost of Aberdeenshire Bill Howatson and Lord Lieutenant of Kincardineshire Carol Kinghorn. The launch was held at the Clatterin' Brig Restaurant near Fettercairn and featured speeches from Claire Will (Project Manager), Dave Ramsay (Project Officer), Provost Howatson and Mrs Kinghorn. 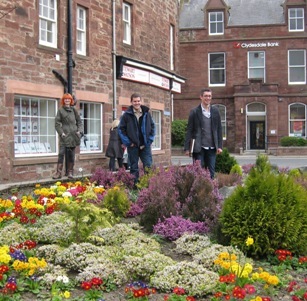 A Mearns Heritage will run until April 2013 and, working with people with learning disabilities, will feature a series of exhibitions and events celebrating the culture and heritage of the Mearns. It will be delivered in conjunction with the Forest View Day Centre in Stonehaven which opened in 1980. The project was awarded £20,961 of funding from Rural Aberdeenshire LEADER in December 2010 towards a total cost of £71,961. Further information on project costs and LEADER award can be found here. The Forest View centre is run by Aberdeenshire Council to provide high quality day services and support for individuals with learning disabilities. A Mearns Heritage will look to previous programmes run by the Forest View Centre such as the highly successful 'Father of the Bard' project which involved service users of the centre and culminated in the production of a DVD film about the ancestors of Robert Burns. A Mearns Heritage will employ a similar approach by forming a close relationship with a wide range of special interest and community groups as well as schools and colleges. The exceptionally high levels of community involvement and support will allow the people with learning disabilities to undertake a new interpretation of Mearns history, particularly of the years since the Forest View centre opened in 1980. 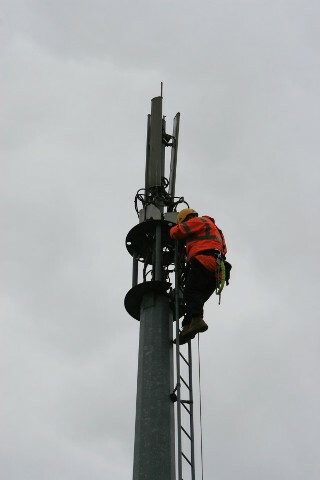 Exciting plans for a superfast wireless broadband network for the rural community of Kinmuck are progressing quickly. The project is being managed by Caleycom, a not-for-profit company established for the purpose of delivery the service for the residents of the area near Inverurie in Aberdeenshire. 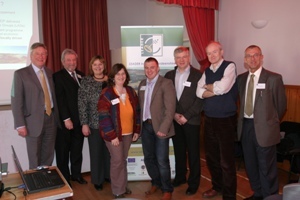 Caleycom was awarded £51,638 from Rural Aberdeenshire LEADER in January 2011 as a pilot project of the Rural Aberdeenshire Broadband Initiative. The project will utilise wireless technology to transmit broadband from a mast in Aberdeen using direct line of sight to Kinmuck. Subscribers, comprising businesses and households can apply for broadband connection at an appropriate speed through provision of Bronze, Silver and Gold services. To date more than 20 households have registered interest in the servi ce. As soon as the minimum threshold is reached, the new innovative service will be activated. Despite some setbacks and a lot of hard work, Caleycom founder and project manager Simon James is delighted with the project progress. Commenting on the project, Belinda Miller, Rural Aberdeenshire LAG Chairperson said "The delivery of this pilot broadband project is most welcome as it will benefit both householders and rural businesses in the Kinmuck area. The project aligns closely with Aberdeenshire LEADER themes for a Progressive Rural Economy and Revitalising Communities. This is an exemplar project which could be replicated in other areas once fully operational." The Rural Aberdeenshire Broadband Initiative is a pilot scheme which has supported community led projects through the Rural Aberdeenshire LEADER Programme 2007-2013. Four rural communities -Arbuthnott, Ballogie, Boyndie and Kinmuck- which suffer from little or no broadband coverage were awarded combined funding of more than £195,000 for innovative projects which will deliver high speed internet services. More information on the Rural Aberdeenshire Broadband Initiative can be found here. Gartly Primary School celebrated the opening of a new community wildlife garden earlier this month. The LEADER funded project has transformed a overgrown and marshy area of the school grounds into a fantastic garden complete with pond, a boardwalk and meadow area. The open day welcomed over a hundred members of the local community to inspect the work which has been done in the garden and encourage future use by all local residents. Wrought iron artwork designed by Gartly Primary School pupils. The garden consists of a walkway which carries the visitor accross the bog garden, past a pond (with safety grate) and through woodland to the meadow area. Interpretation boards educate the visitor of the flora and fauna present in the garden and a seating area allows a moment of rest. The garden is accessed at either end by wrought iron gates with a number of details each designed by a pupil of Gartly School. 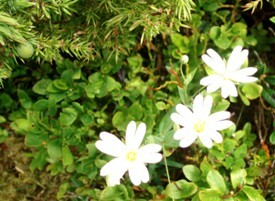 Native hedging borders the garden. An "outdoor classroom" gazebo (below) will provide a resource for all pupils of the school and allow learning about the outdoors in all weathers. Gartly pupils enjoy outdoor learning. Ann-Marie Freeman of Gartly Parent Partnership, organisers of the project, said "The open day went really well, we are delighted to see the project launched. The garden is now open for use as a community resource." Gartly Wildlife Garden was awarded LEADER funding of £4,500 in December 2010 towards a £10,800 project. A large crowd braved the wet weather on Saturday 2nd April welcoming Beechgrove Garden presenter Jim McColl to open a new allotment garden in Huntly. The Rotary Club of Huntly were awarded a LEADER grant of £25,690 in December 2009 towards a £51,381 project to create 17 new allotments on a waste ground site at Glamourhaugh. The area was used for allotments until the 1990s when it was cleared for development. This prompted the community to successfully object to the development plans and secure the site for future community use. The recent works have preserved paths for dog walking and general public access, whilst a high fence has been erected for deer and rabbit exclusion. A collection of small timber buildings have been built including a toilet block, a summer house and a tool shed. The toilet block is particularly innovative as it houses a composting toilet which reduces waste to organic material suitable for garden use. The weather didn’t stop the crowd enjoying the day, especially the moment when the keys to the allotments were handed to each allotment holder. Jim McColl then proceeded to cut the ‘ribbon’ and the allotments were officially opened. A number of community groups have been allocated an allotment including the primary and secondary schools, the Huntly Mental Health Group, the dementia group and the NHS Food and Health group. The remaining plots are available for public rent and the demand for allocation has been so high that a waiting list is now in operation. A delighted Raye Marcus, of Huntly Rotary Club, said “We at Huntly Rotary Club are really happy and proud to have created these allotment gardens in the town. It is probably one of the biggest projects the club has undertaken in its long history. “The allotments were the brainchild of the Rotary Club of Huntly who wanted to mark their 55 years of activity in the town with a ‘green’ project. Aberdeenshire Life Education Centre is a health education charity working in partnership with schools, parents, businesses and the wider community to provide Healthy Life Choice Education. ALEC is a partnership between 10 north east Rotary Clubs and the Education, Learning and Leisure Service of Aberdeenshire Council. ALEC has recently made the investment in an additional mobile classroom which will visit primary and secondary schools throughout Aberdeenshire. An additional educator has been appointed to deliver training in the new mobile classroom. The project is supported by LEADER and the Aberdeenshire Local Tobacco Alliance. 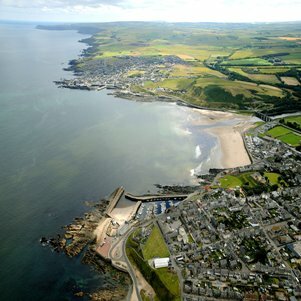 The Banffshire Coast Tourism Partnership is seeking to recruit a Tourism Development Manager to deliver a series of initiatives in the Banffshire Coast area over a 3-year programme. More than £315,000 has been provided to nine Aberdeenshire projects ranging from tourism initiatives for the north coast, community hall developments and building restoration works. The projects all received funding as part of Rural Aberdeenshire’s LEADER programme, which has approved 54 projects in its first year, with a total of £1.6 million awarded towards total project costs of £6.5 million. Latest funding round press release can be accessed here. 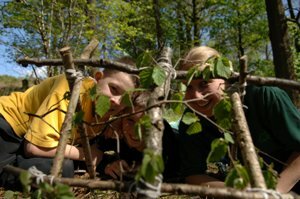 Buchan Countryside Group is seeking to recruit an Environmental Education Officer to deliver an environmental education service to local communities and schools throughout Aberdeenshire, to promote and encourage community engagement with the natural and cultural heritage and to create a website/on-line resource. This new full-time post is jointly funded by Rural Aberdeenshire LEADER Programme and Scottish Natural Heritage. “We are absolutely delighted to receive LEADER funding. We are very excited about starting on our new project which we feel will be of real use to residents and visitors to the North East. We can now begin mapping out the format for our project in some detail before tapping into our network of contacts for their input". A new all-abilities path, costing almost £50,000, has been opened at Alastrean Woods, Tarland. Anne Begg MP joined members of the Deeside Access Panel to formally open the new path. Cairngorms Outdoor Access Trust (COAT) has project managed path restoration works at Alastrean Woods, Tarland. The new all-abilities path is suitable for wheelchair users, the less-abled and people with pushchairs. The scenic path among the pine and birch woods will enable users to see wildlife and the vista around Tarland towards the Deeside hills. Opening the path, MP Anne Begg said: "With such beautiful countryside in the Nort-east of Scotland, I think it is fantastic that projects such as the path at Tarland are helping to open up our wonderful outdoor spaces to those with limited mobility." The £48,000 path received LEADER funding through Rural Aberdeenshire Local Action Group, as well as Scottish Natural Heritage, and has already proved very popular with the Tarland community. Ewen Cameron, Operational Manager, Scottish Natural Heritage, attended the opening of the path as LAG representative for the LEADER Programme and commented: "Projects such as this funded through LEADER and Scottish Natural Heritage demonstrate the positive outcome of agencies and organisations working in collaboration to deliver projects for community benefit." Dougie Baird, trust manager for COAT, said: "The path has been an excellent example of partnership working with COAT delivering the project on behalf of The MacRobert Trust; Tarland Development Group and Cromar Community Council. The support and contributions from all involved has enabled the project to happen." Turriff Tourism Action Group (TTAG) has now raised the £84,000 funding required to embark upon the creation of the Turra Coo Sculpture for the centre of Turriff. The project will be officially launched at the TTAG AGM due to be held at Fyvie Castle on 21st April at 7 15 pm. The artists will also be in Turriff on 21st April where there will be a photo opportunity at the proposed site for the sculpture (junction of High Street and Main Street) at 11.30 am. The project has been fortunate in attracting financial support from the Rural Aberdeenshire LEADER Programme, Aberdeenshire Council and The McRobert Trust, the Mary Salmond Trust and Turriff & District Ltd in addition to many other sources including business, private and personal donations. The 3 appointed artists, David Blyth, MA, Ginny Hutchison MA RCA, and Charles Engebretsen BA are now embarking upon the Education program to develop visuals for the Public Art Work. The artists will initiate a series of arts-led public events and a comprehensive arts-based education programme to raise awareness and understanding of the project and embrace public ownership of the sculpture. It presents an excellent opportunity for inviting the local rural community to engage with contemporary arts through the celebration of local heritage. Scottish Wildlife Trust is seeking to recruit a Project Officer North East to oversee a major project to help conserve Scotland's Red Squirrel population. In partnership with Forestry Commission Scotland, Scottish Natural Heritage and Scottish Rural Property Business Association, SWT are undertaking a comprehensive three year National Red Squirrel Action Plan. 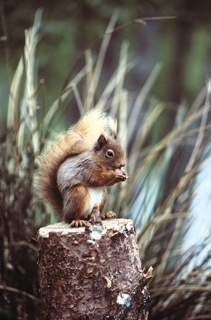 Aberdeenshire is a key area for the Red Squirrel and the project relates to habitat improvement and working with communities to increase conservation awareness of this iconic species. Community Seminars promoting the Rural Aberdeenshire LEADER Programme were held in Johnshaven on Wednesday, 25 February 2009 and Auchenblae on Friday, 6 March 2009. Both events were well attended and proved successful in generating interest and stimulating ideas for rural community projects in the two locations. At the seminars attendees listened to presentations on LEADER and Scotland Rural Development Programme funding, plus Rural Direct support services available to community groups. This was followed by case study presentations provided by participants in the Rural Aberdeenshire LEADER Programme: the Udny Community Wind Turbine Group and the Rothienorman Community Bowling Club at Johnshaven and Deveron Arts and Banchory & District Initiative Ltd at Auchenblae. "I was delighted to attend the event to hear about the LEADER Programme. 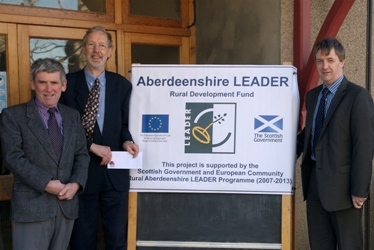 It is encouraging to hear how rural community groups across Aberdeenshire have really benefited from LEADER funding." 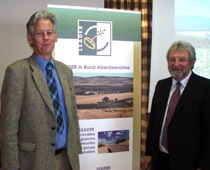 "We have come a long way with the Rural Aberdeenshire LEADER Programme since its launch in June 2008. We now have more than 20 projects approved, with LEADER funding of over £575,000 committed. "It has been excellent to hear directly from participants in the programme how their projects were developed and how their respective communities will benefit from LEADER once the projects are fully implemented." The Scottish Traditional Boat Festival is seeking to recruit a Manager for the recently restored Salmon Bothy in Portsoy. Duties in this exciting new post will involve marketing and running the facility both as a visitor attraction which will focus on the cultural heritage of local fishing communities and a local community asset which will provide meeting space and for local user groups. The new full-time post has been part-funded by the Rural Aberdeenshire LEADER Programme 2007-2013. The LEADER funding is the catalyst which will help to develop the Salmon Bothy as a strategic visitor centre on the Banff Coast, while enabling the community enterprise to get on a sustainable footing.  Forestry Commission Scotland, through the Forest Education Initiative (FEI), are recruiting a full-time Woodland Education Development Officer. 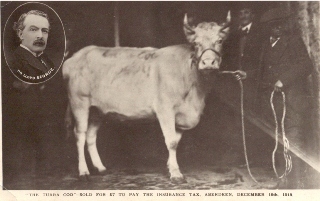 This post has been part funded by Rural Aberdeenshire LEADER. "This post would not have been possible without support from LEADER and our other partners. The post will really help us to further the message that trees and woodlands are great tools for schools and communities to use as a learning resource, particularly as the curriculum changes to give the scope for more opportunities for hands on learning". Having launched the LEADER programme in Rural Aberdeenshire at the end of June, the Local Action Group met recently to consider the first round of applications. “It is clear there has been strong interest in LEADER from rural groups throughout Aberdeenshire and it is particularly pleasing to see such a good range of well prepared applications forward in Round 1. A total of eight applications have been approved with LEADER funding of £167,219 towards total project costs of £949,587. One of the first projects to be approved in Rural Aberdeenshire is an innovative project from BIRSE Community Trust. LEADER funding of £20,800 will contribute towards the purchase and management of Balfour Woods in South Deeside. The Trust developed the proposal and was successful in gaining approval through the National Forest Land Scheme to purchase Balfour Woods from the Forestry Commission. Timber from the woods will be used in an exciting biomass heating project which will serve the community buildings and local Finzean Primary School. This community regeneration project will contribute to the social and economic sustainability of the BIRSE Community which have fully supported the proposals for the woodland management and biomass project. On the east coast of Aberdeenshire, Collieston and Slains Community Trust (CASCT) has been awarded LEADER funds of £43,145 to undertake full business proposal and feasibility for a significant development of a new community centre. CASCT has fully researched their proposals through undertaking detailed community consultation in the preliminary stages. The LEADER project will help CASCT to progress towards a Big Lottery application while enabling the group to identify development costs and the running of the Centre thus further validating CASCT’s Business Plan. Other contributors to the LEADER Project include Big Lottery Investing in Ideas Fund and the Aberdeenshire Community Asset Fund. further development of an Environmental Tourism Project which has not only been a very popular visitor centre in Aberdeenshire, but is also a valuable educational asset for environmental awareness. a community photographic competition which will develop into an innovative micro-business through sales of prints etc. There is currently strong interest to develop applications for Round 2 which will be assessed before the end of the calendar year. The launch of the Rural Aberdeenshire Local Action Group (LAG) LEADER Programme took place at Lochter Activity Centre near Oldmeldrum on Friday, 27 June 2008. LEADER is an innovative rural development programme which aims to improve the quality of life and economic prosperity in Aberdeenshire. The programme was made possible due to the securing of £3.24 million from the European LEADER fund. LEADER is an integral element within the Scotland Rural Development Programme 2007-2013. It is funded by the Scottish Government and European Commission, with matched funding from public bodies and the project groups. 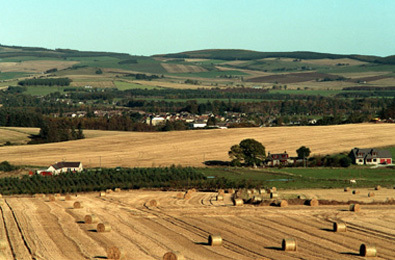 In Aberdeenshire, LEADER will be delivered by the Rural Aberdeenshire LAG to rural areas and communities with populations of less than 5,000. The funds are aimed at stimulating the rural economy and building capacity in communities and business networks. The Launch featured presentations from Aberdeenshire Council's Infrastructure Service Committee Chairman, Peter Argyle and the Council's Head of Economic Development and LAG Chairman, James Knowles. The welcome address was given by Councillor Peter Argyle who said: “Development of rural communities is core to the Council’s Strategic Priorities which have been developed around the five Community Planning themes of Community Wellbeing, Jobs and the Economy, Lifelong Learning, Sustainable Environment and Developing our Partnerships. “The Council has adopted a proactive stance towards rural communities and industries. 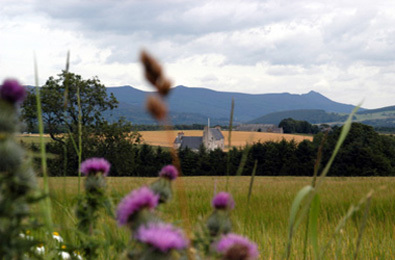 The progression of the Scotland Rural Development Programme 2007-2013, including LEADER, from its earliest proposals to fruition, was keenly observed and discussed through the Council’s Infrastructure Services Committee during the development and consultation process. “I understand the two main themes the Rural Aberdeenshire LAG’s Strategy will focus on are Revitalising Communities and Progressive Rural Economy. Again, this fits very comfortably with the Council’s Economic Development priorities. “One of the most appealing aspects of LEADER is it’s capacity to consider new innovative solutions, be it through provision of rural community services, flexible training and development programmes or environmental enhancement. I feel this presents a great opportunity for participants to develop initiatives that are relevant and specific to their community’s needs and aspirations. “Another area where I view the potential benefit of LEADER is that as many rural businesses are small, often isolated with limited access to other services and customers, there is capacity within LEADER for these businesses to work more closely together through perhaps sharing resources, or developing collaborative actions. Vicky Thomson, LEADER Co-ordinator, then gave a demonstration of the new LEADER website (www.aberdeenshireleader.org) which went live on the Launch day. The website features guidance on making application for LEADER funding and includes details of application submission dates and application forms. James Knowles also welcomed Anne MacLennan, recently appointed as LEADER Administrator. The LEADER office is based at Gordon House, Inverurie. Potential applicants are asked to contact Vicky Thomson, LEADER Co-ordinator, on 01467 628383 or e-mail vicky.thomson@aberdeenshire.gov.uk, before they consider making application.